Good translation prospects remain hidden for the most part. But just because they’re hiding doesn’t mean you can’t find them if you look in the right places. These types of prospects are different from translation “work,” which you can always search for on places like UpWork or Facebook. But if you want to avoid this route and not just take the posted jobs that are available for everyone, you’ll have to look smarter for clients. 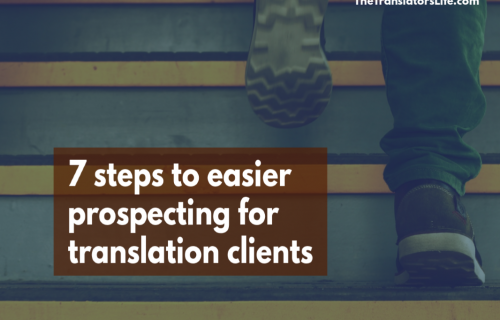 To give you concrete tips to find translation clients no matter where they’re hiding, below are five places to look for them based on the prospect type. You have to be on a constant lookout for prospects who are ready for translation right now. One of the best ways is to join a social media group in your sector and in your source language. This can be a bit intimidating at first, especially if you’re only used to hanging out online with other translators. Unfortunately, you will have to get used to striking up a conversation with people in your source language about something other than translation. Even if that makes you a little gun-shy, you might as well start practising! But don’t join these groups asking for work! Introduce yourself and your reason for joining: e.g., getting to know the sector, being involved in the conversation. Then check the group often and simply post any relevant information to your website if anyone mentions that they need language services. Pro tip: On LinkedIn, you can set up alerts for new messages in a group. That way they pop into your inbox and you can scan as necessary. Despite what you may think, just because a company hires full-time translators doesn’t mean they don’t work with freelancers. Go to all of your local job sites and check out who is hiring translators. Do a search on your favourite job sites, save your searches, and have the alerts sent to you by email. Then reach out to the client asking if they need a freelancer to take on any overflow while they search for someone full-time. Pro tip: In Canada, employers tend to post the same offers on Indeed, Monster and Workopolis, so personally I just have an alert from Indeed. Check out the job sites in your country. Alerts take very little time to go through, so add as many as you want. This pool of prospects are good candidates for translation, but they just aren’t ready to use your services yet. They may have a big web project coming up, an annual report, a ton of internal regulations, or any other number of documents on their plate. These are excellent translation clients to work with, even if they are one-off, as big projects look good on your resume and can be excellent to find more clients of the same type. 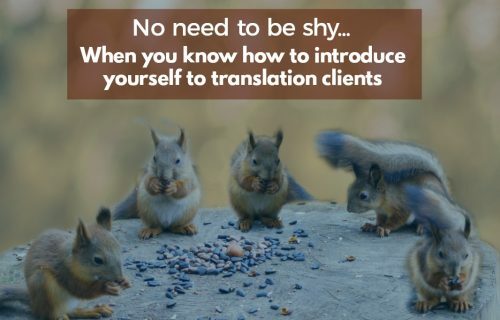 You will simply be introducing yourself to these clients so that, when they need it, you are there to get translating! 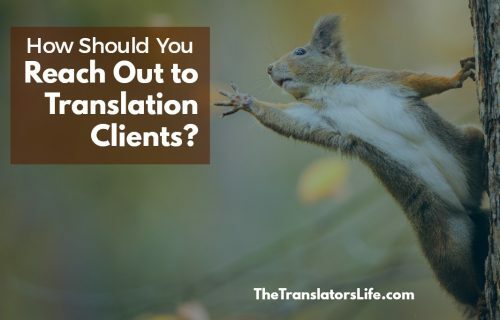 These are typically the kinds of clients that you can find through the searches and databases I recommended in this post: 7 Key Mistakes to Avoid When Searching for Translation Clients. Pro tip: Aim for clients who have recently been in the news, have just launched a project, or have just received funding. These noteworthy milestones give you a reason to contact them. These kinds of prospects are the ones that seem to have a need for translation, but for some reason they don’t! Or they have a translated website, but it is absolutely horrible. These prospects are tricky, because while they may need translating, convincing them of this need could require a lot of energy. If you are an experienced or expert translator, I don’t recommend that you focus on finding these companies. However, if you’re new or if you are new to a sector, you can go after these companies and offer low to free rates to start getting a feel for the industry. Pro tip: Companies that are actively advertising (in any language) need customers, so they are more likely to want to take you up on your translation services offer. These prospects are the ones who seem so close to being right for you but just don’t want to use your services. These are the kinds of companies that you can still play nice with, as getting on their radar can be a way to network in your sector. Social media platforms: Like their posts and share them. Blogs: If few people are engaging with their content, then help them out with some thoughtful comments. Mailing lists: Sign up for their mailings. When you get news that you can share with your network, send them an email to let them know. Pro tip: Remember that not all of your marketing efforts will result in work from the companies you contact. Being helpful and engaging with the world is just as important in order to spread the word about your services. 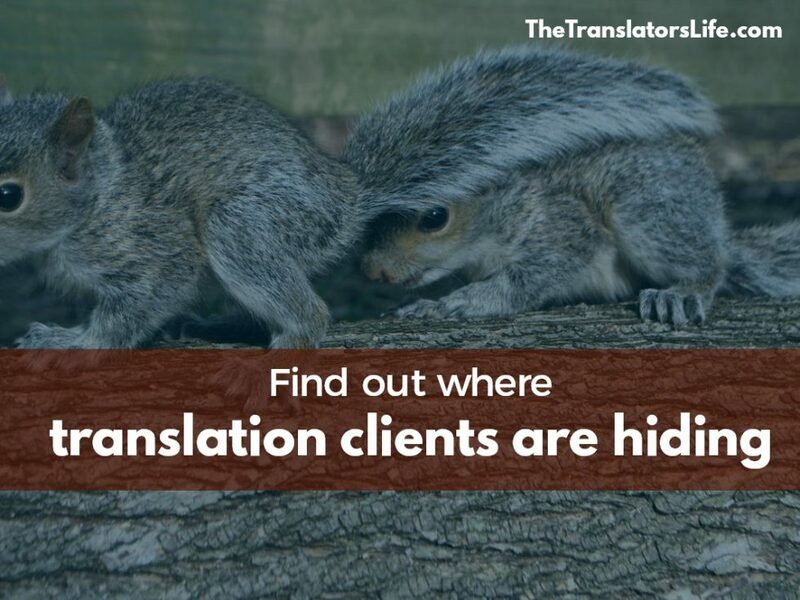 Don’t be like other translators and let hidden jobs keep you from finding the clients you want. Often, finding translation clients is just a case of widening your search, getting strategic, and realizing that not everyone is ready for you now, but could be in the future. If you look in the right places for clients who are at different stages of readiness, you’ll greatly increase your chances of finding clients who are looking for you and your services! Very good article! Thanks for the help.